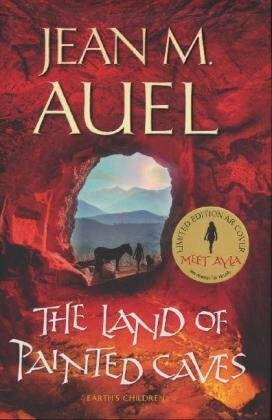 In The Land of Painted Caves, Jean M. Auel brings the ice-age epic Earth's Children series to an extraordinary conclusion. Ayla, one of the most remarkable and beloved heroines in contemporary fiction, continues to explore the world and the people around her with curiosity, insight, and, above all, courage. Their epic journey across Europe is complete and Ayla and Jondalar join his people in the region now known as south-west France. Settling into the rhythm of life in the Ninth Cave, the couple find much pleasure in their baby daughter and in being reunited with friends and family. Ayla plays a vital role in the area of healing: her knowledge of plants and herbs, gleaned from her days with the Clan, strikes awe in her new tribe. They are also both impressed by and wary of her uncanny affinity with long-time companions, the mare Whinney and Wolf. But, torn between her desire to concentrate on her new child and the rigours of her training as Zelandoni, Ayla finds her relationship with Jondalar moving into stormy waters. Can she manage to balance her sense of destiny with her heart? Spellbinding drama, meticulous research, fascinating detail, and superb narrative skill combine to make The Land of Painted Caves a captivating, utterly believable creation of a civilization that resonates long after the reader has turned the last page, and serves as an astonishing end to this beloved saga.